Synopsis: What becomes a Bigfoot most? This silly twist on a favorite fairy tale clears up that question (and more) with humor and style. The Bigfoot prince is looking for a wife. But his perfect mate must meet some stringent criteria: she must be odoriferous, have lots of matted fur and be the kind of nature lover that never picks flowers. Finding such a catch isn’t easy, so the prince throws a forest-wide fun-fest at which all the female Bigfeet can compete for him. Rrrrrella is a good candidate but her wicked stepsisters (who wear wildflowers in their well-groomed fur) won’t let her attend. With help from her Beary Godfather, Rrrrrella wows the prince at the fun-fest and leaves a giant bark-clog in her wake. Opening: Once upon a time, in the old-growth forest, a band of Bigfoots lived. An enormous snag towered above the other trees close to their camp. Inside its hollow halls of bark lived a dashing Bigfoot prince. He was tall and dark as a Douglas fir—with feet like cedar stumps. He was as odoriferous as his tree-home was coniferous. And so horrendously hairy that Bigfoot women near and far longed to marry him. Resources: This book is an excellent model for students to write their own fairy tale. HERE is an interactive tool for students to write their own fractured fairy tales. HERE is an excellent guide for a Fairy Tale/Storybook Characters Unit for younger students. It can easily be adapted for older students. Why I Like This Book: I am a huge fractured fairy tale fan and this book is such a treat. Not only is the prince looking for a woman Bigfoot tough enough to roll him off a log into the river, he wants a wants a woman who is a nature lover like him. 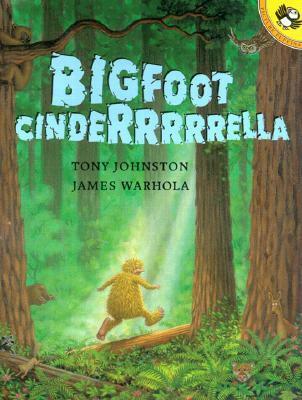 This combination makes Bigfoot Cinderrrrrella an excellent choice for the classroom. It is delightfully humorous, and will appeal to boys as well as girls. This entry was posted in Picture Books and tagged Fractured Fairy Tales, Perfect Picture Book Friday, picture book, Susanna Leonard Hill. Bookmark the permalink. For the title alone, I’d get this book! Thanks, Penny! Oooh, I love Tony’s books! I always love the fracture fairy tales you share. Looks like a fun one. I am a fractured fairy tale fan too. And this one sounds terrific! This book sounds hilarious! I like hilarious! I’m also into odoriferous!!! My kind of book! I’ll have to check this one out! BIG and beautiful birthday greetings! I love this opening – a nature-loving Bigfoot, well I never! I know!!! Such a cute idea! Thanks for all your birthday wishes! 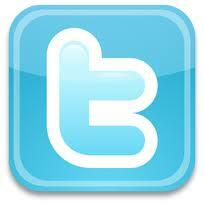 Yes…I have been Bigfootin” it on my birthday! Such an entertaining book. I really love it. And, I copied your resources for kids on wriing a fractured fairy tale — great resource. Such a great addition to our list. Hi, Pat! It is entertaining. I love all the metaphors in the text….which, by the way, would be another way to use the book as a resource! Very funny, and I knew it had to be your review. Love it! Have a great Birthday, Penny! Thank you Diane! It was a great day. It is a funny book. It will get the kiddos to giggling…that’s for sure! Great book suggestion! Would be super fun to pair with Scott Magoon’s new one “The Boy Who Cried Bigfoot.” Hmm…is Bigfoot in the Common Core?? I just read “The Boy Who Cried Bigfoot.” Loved it. Hmmm….that is a good question (hee hee). Myths would be, I’m sure! Thanks for the birthday wish! Odiferous and coniferous-what great picture book words. Thank you for the critique with Gayle Krause and Happy Birthday! I loved that word combination too, Wendy! You’re welcome! I was glad to host Gayle on my blog and so excited that she was giving away a critique. Thanks for the birthday wish! I had a nice day! Now this is a clever FFT…wish I would have thought of it myself! Just put your pick on hold. Have a Grrrrreat B-Day! Thank you, Julie! And thanks so much for the drawing. it brought me smiles all day!